The EU Ombudsman has upheld a complaint by Corporate Europe Observatory (CEO) against the Commission over its failure to implement UN tobacco lobby rules. Deeming the Commission’s failure to comply with the World Health Organisation’s (WHO) Framework Convention on Tobacco Control as ‘maladministration’, Ombudsman Emily O’Reilly has urged the Commission to publish details of all meetings with tobacco lobbyists online. O’Reilly also asked the Commission for an update on its promise to introduce a mandatory transparency register for lobbyists. 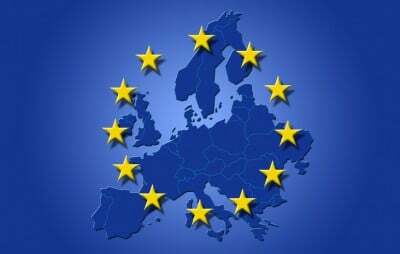 The EU is a signatory to Article 5.3 of the WHO’s Framework Convention on Tobacco Control, which is intended to protect decision-making “from commercial and other vested interests of the tobacco industry”. It thus obliges governments to limit interactions with the tobacco industry and ensures the transparency of those interactions that do occur. In May 2014, CEO submitted a complaint about the Commission’s failure to properly implement these rules. The resulting Ombudsman probe involved an inspection of official files and staff agendas at the Commission’s HQ, the Berlaymont, to identify possible meetings with tobacco lobbyists. The Ombudsman’s investigation found that a top official from the Commission’s legal service had declared no meetings with tobacco industry representatives despite having meetings with a lawyer working for tobacco giant Philip Morris. The Commission’s contacts with the tobacco industry attracted major controversy following revelations of heavy lobbying pressure during the 2012-2014 revision of the EU’s tobacco products directive, including the ‘Dalligate’ scandal, which involved the forced resignation of then EU health commissioner John Dalli in October 20131. This ruling is a significant victory for the fight against the sinister scheming of this lethal industry,” said CEO’s research and campaigns coordinator Olivier Hoedeman. “The Commission’s complacency and secrecy over its contacts with the tobacco industry are deeply regrettable – but part of a pattern. We hope it will finally get the message that it must fulfil its UN obligations and take strong measures to prevent the undue influence of tobacco lobbyists. The Commission must now implement WHO Convention rules across all departments, publish details and minutes of all meetings with tobacco industry representatives and introduce a mandatory lobby transparency register to ensure that tobacco industry lobbyists are forced to disclose information about their lobbying. The new ruling follows other, recent Ombudsman rulings on several other CEO complaints about secrecy and conflicts of interests emerging from the Commission’s relations with tobacco industry. In December 2013, the Ombudsman slammed the Commission for its failure to act against Michel Petite, a lawyer at law firm Clifford Chance whose clients include Philip Morris, and who was simultaneously acting as head of the committee which advises on whether the Commission should authorise the new professional activities of ex-commissioners.